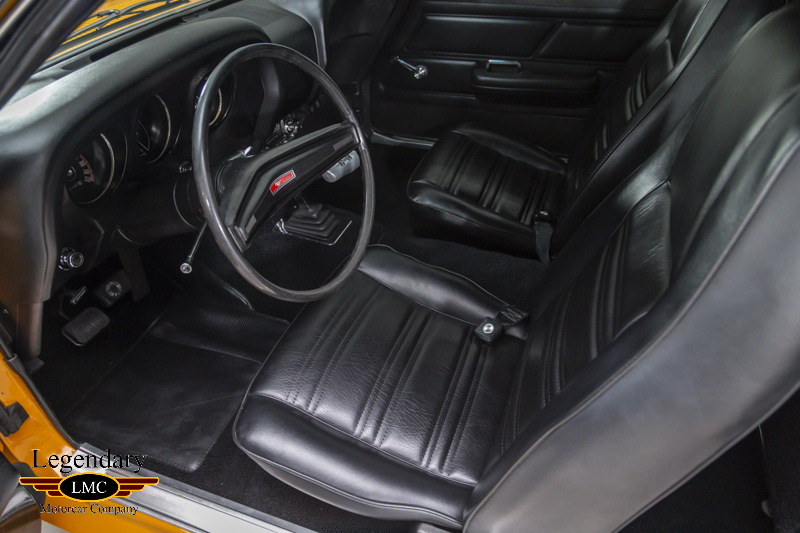 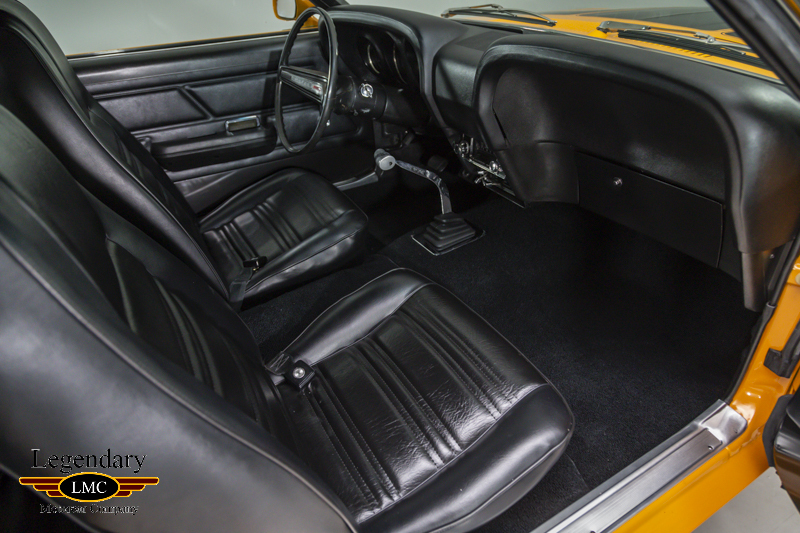 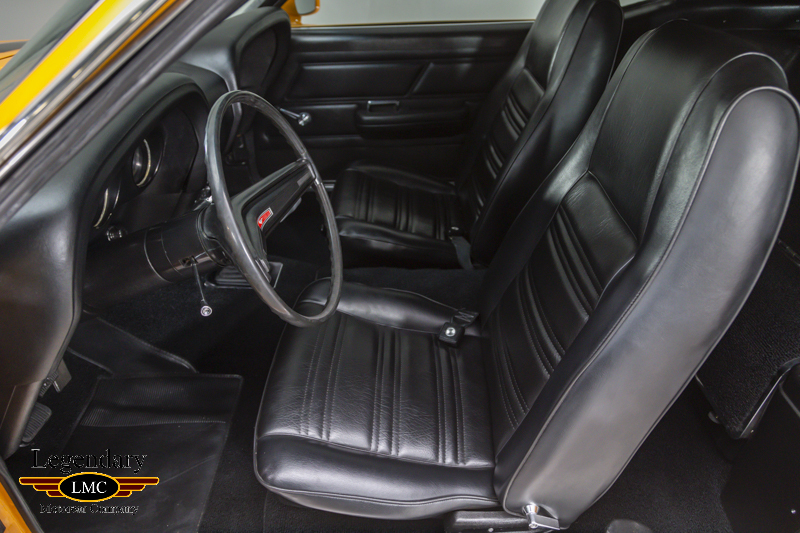 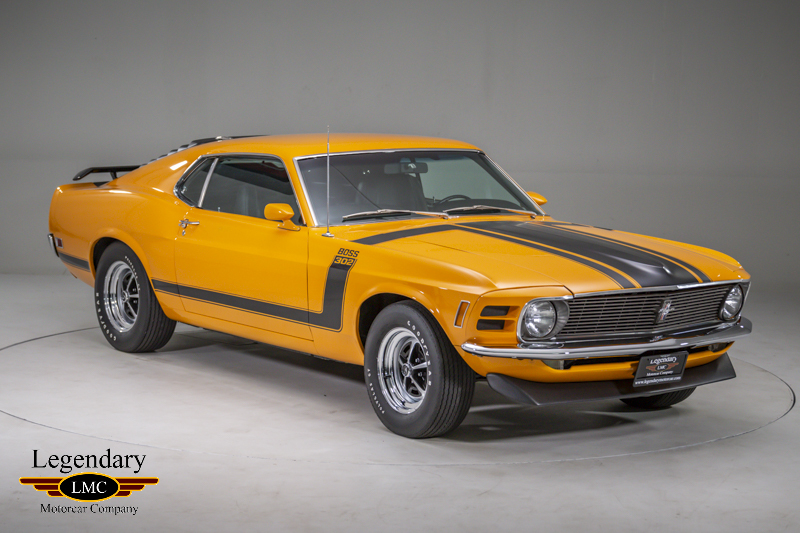 Sold new on December 2nd of 1969 at Lutz Ford Sales in Palo Alto, California this 1970 BOSS 302 Mustang has been a special car since day one. 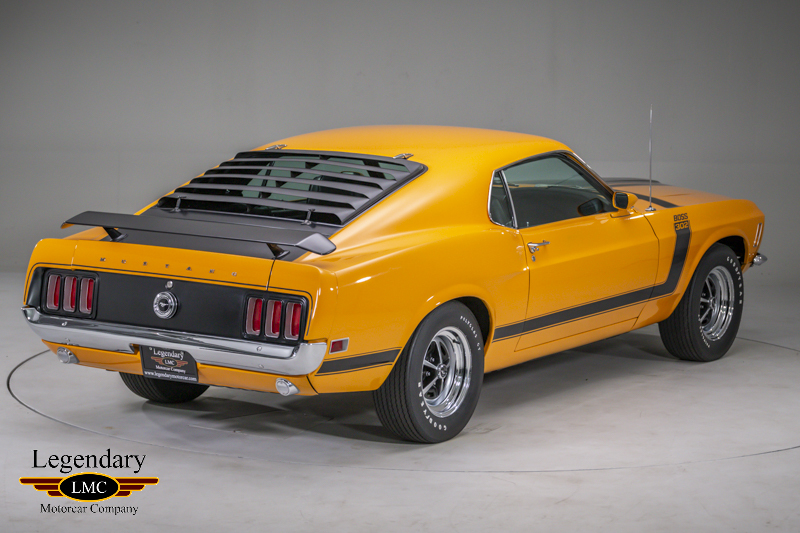 Factory finished in the colors just as you see it today in the highly desirable factory Grabber Orange exterior with very rare black interior. 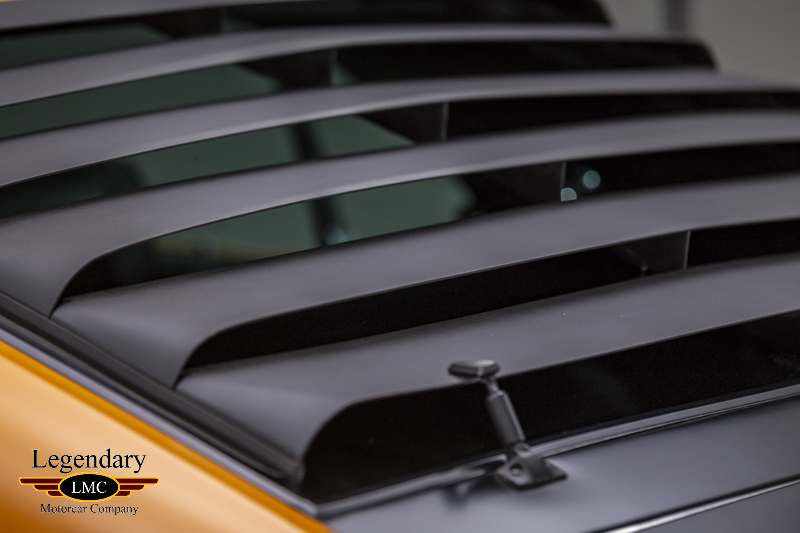 This car is nicely optioned with Rear Spoiler, F60x15 Belted Tires, Power Steering, California only Evaporative Emissions Equipment, Sport Slats, Sport Deck Rear Seat, Tinted Glass and AM radio. 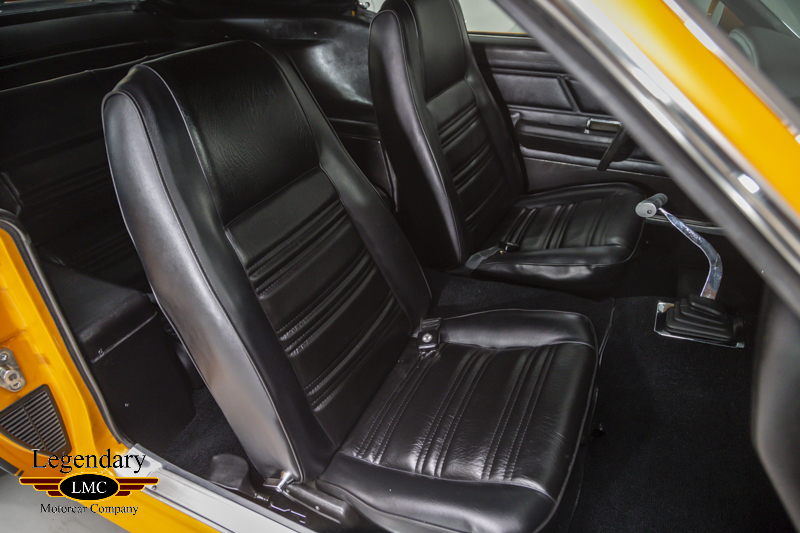 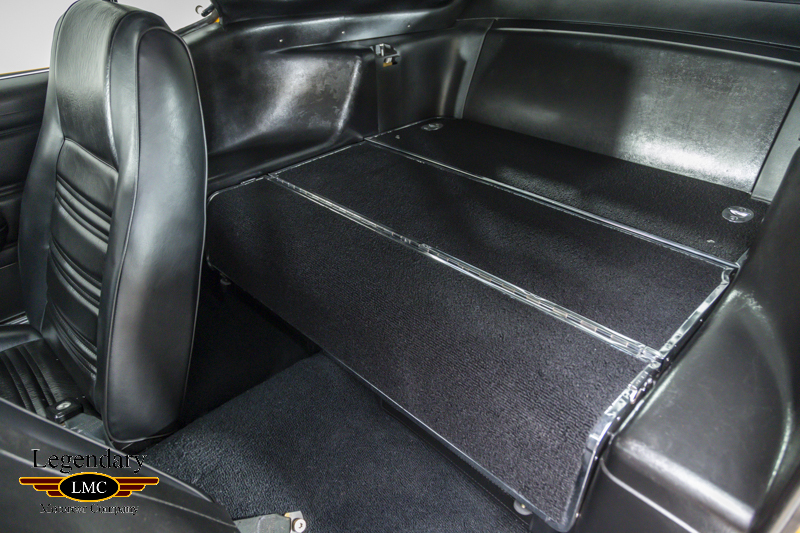 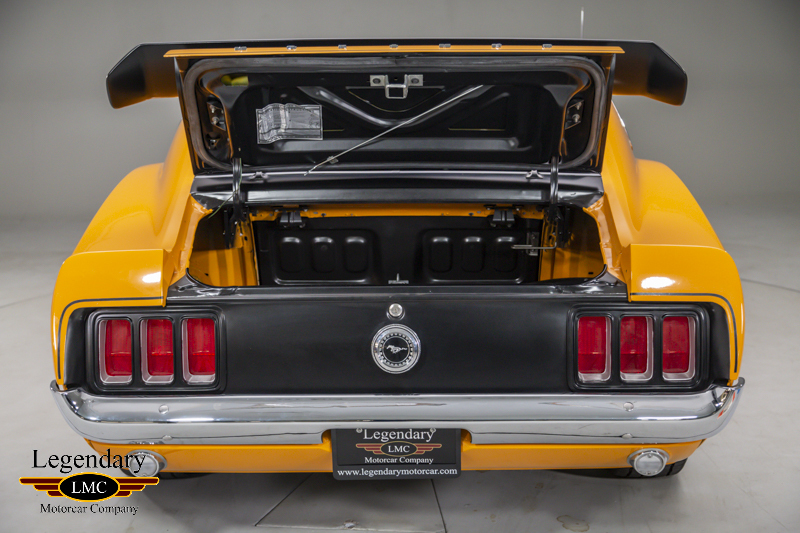 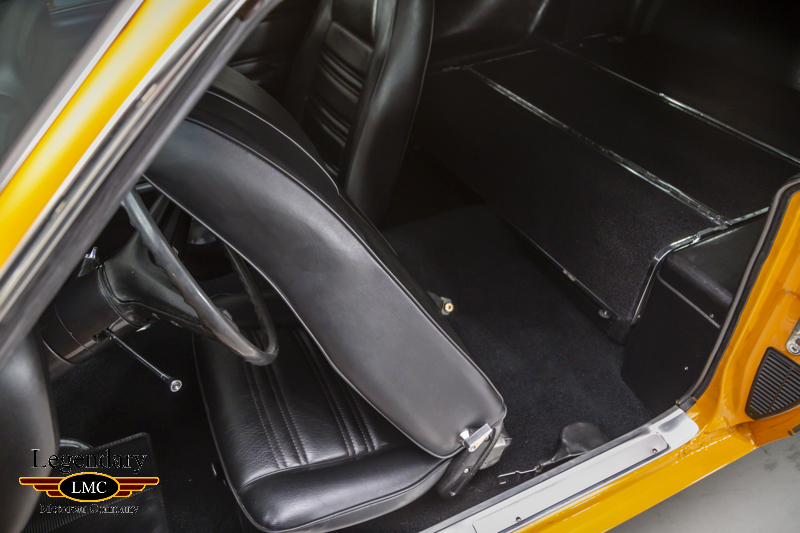 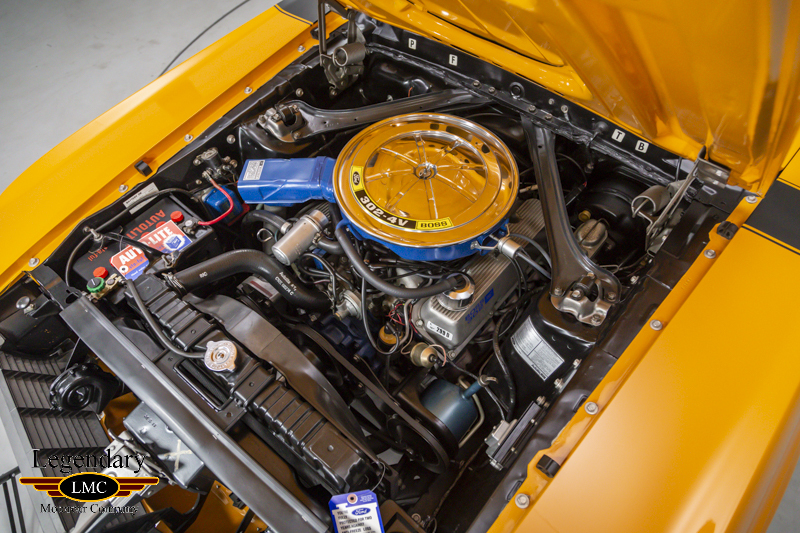 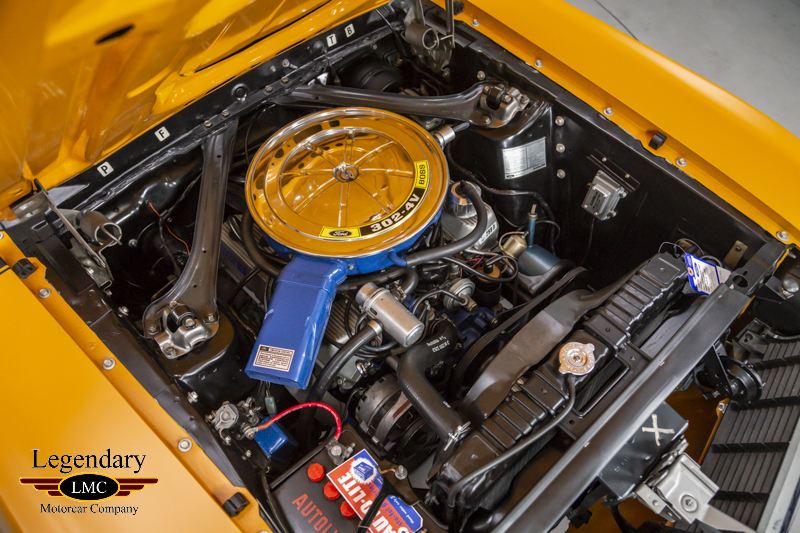 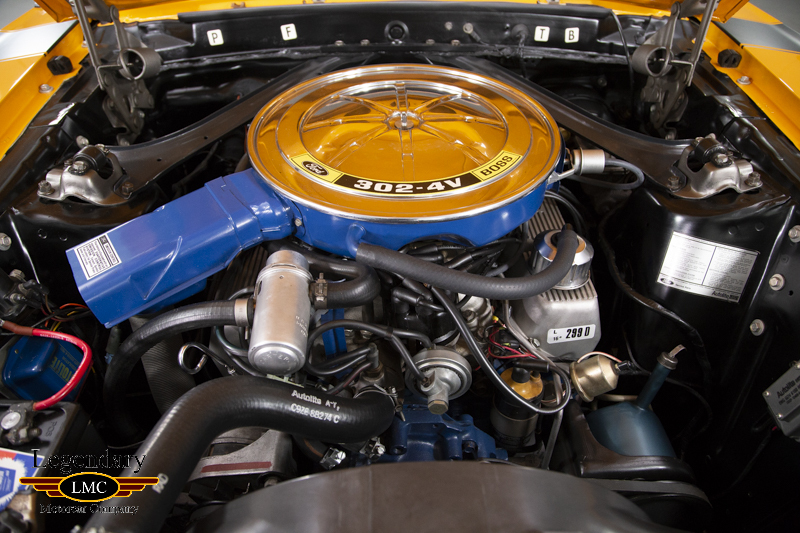 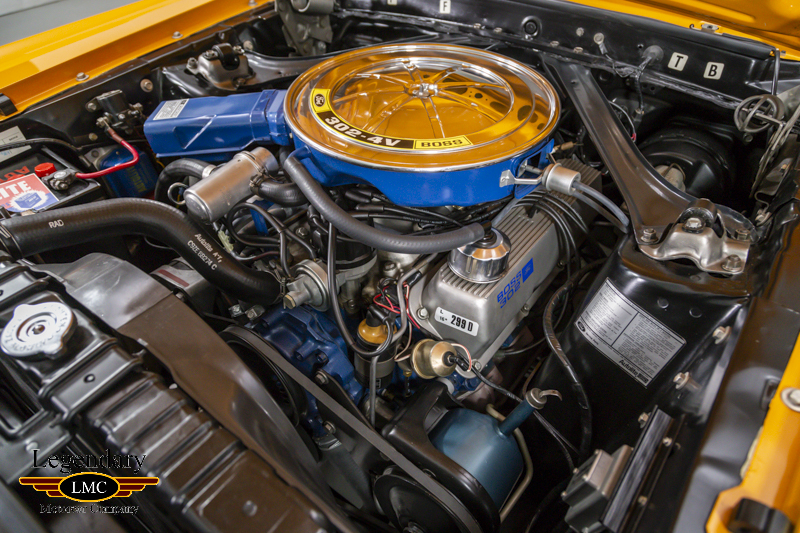 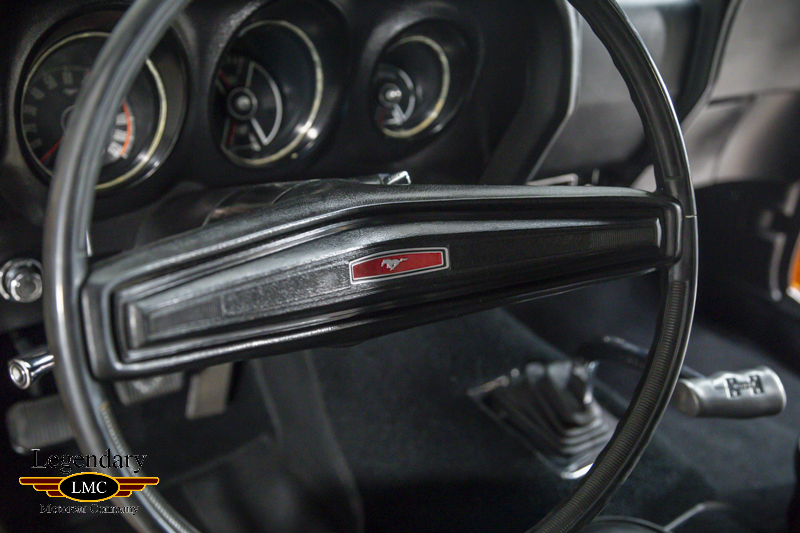 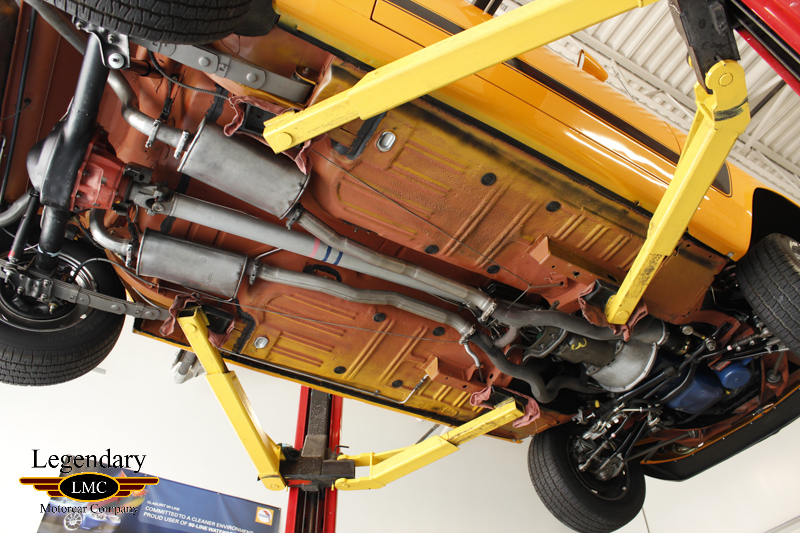 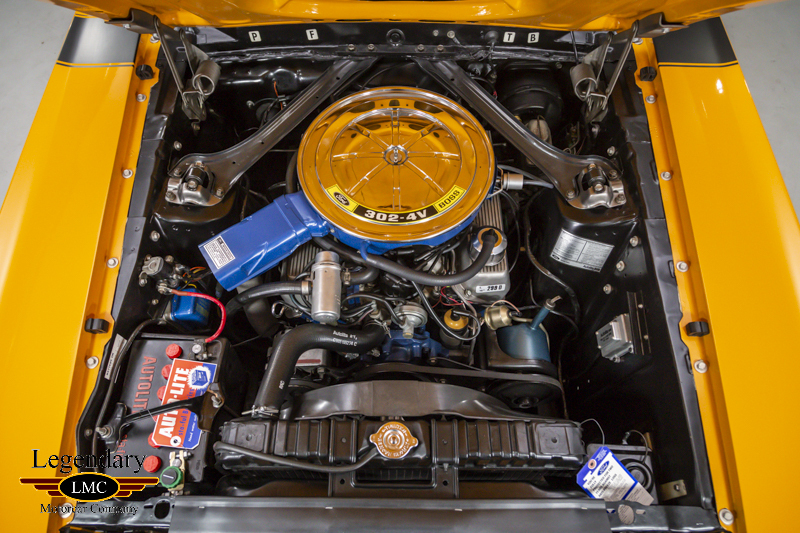 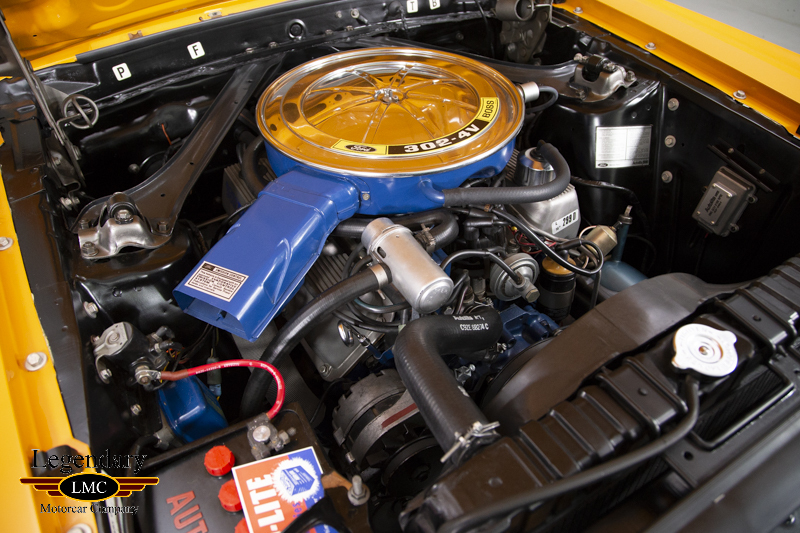 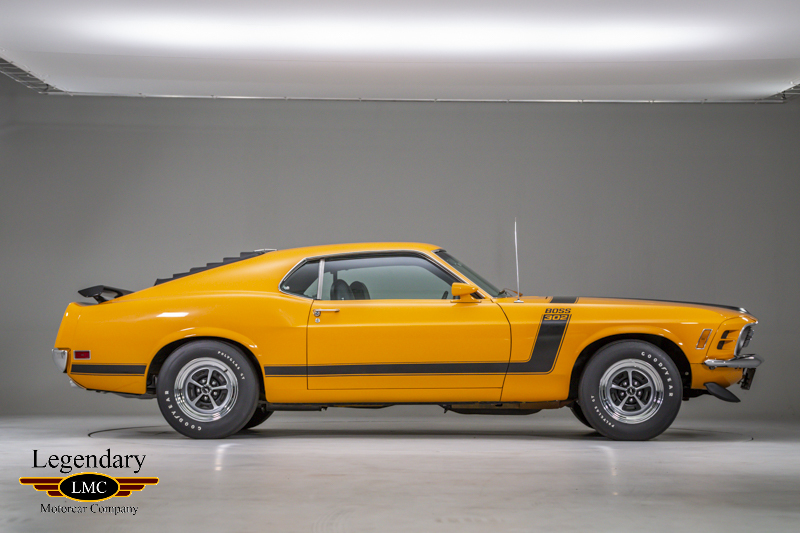 This is car is ultra-rare as it is one of the few California delivered Boss 302’s and still retains all of its original emissions equipment. 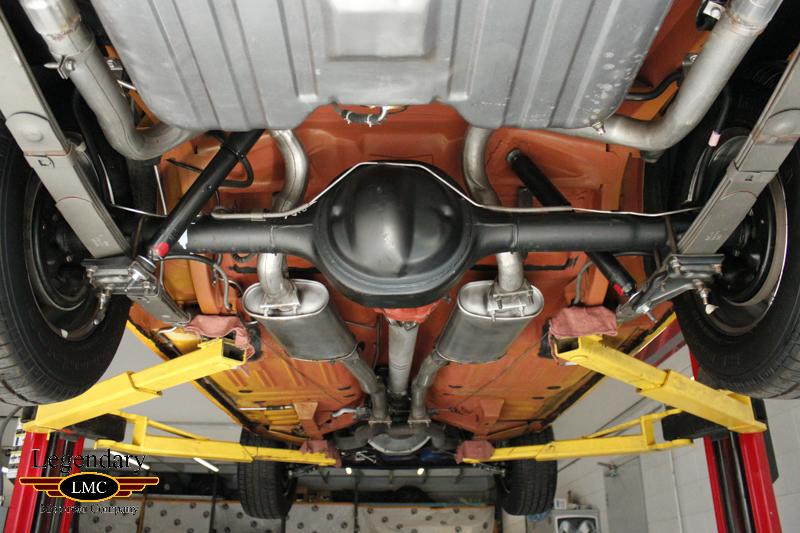 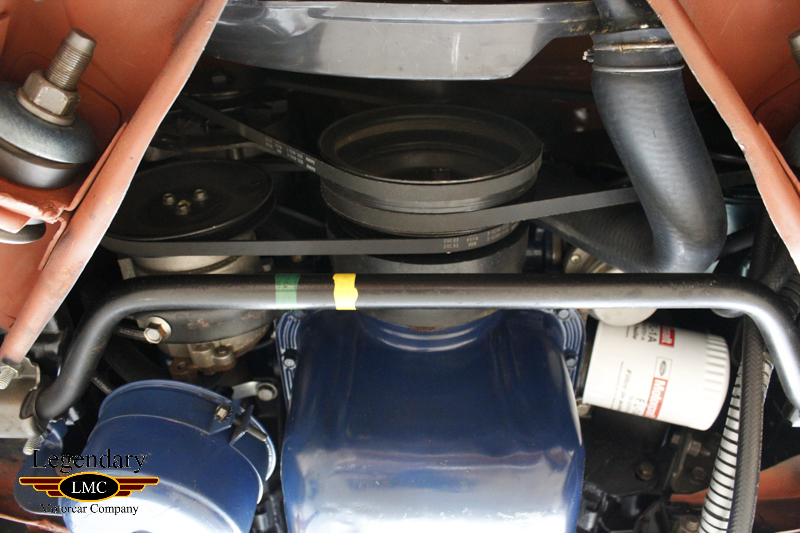 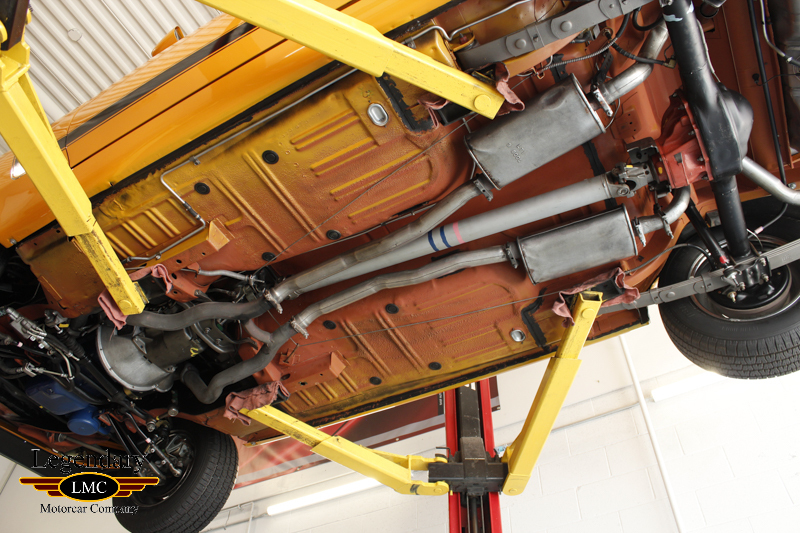 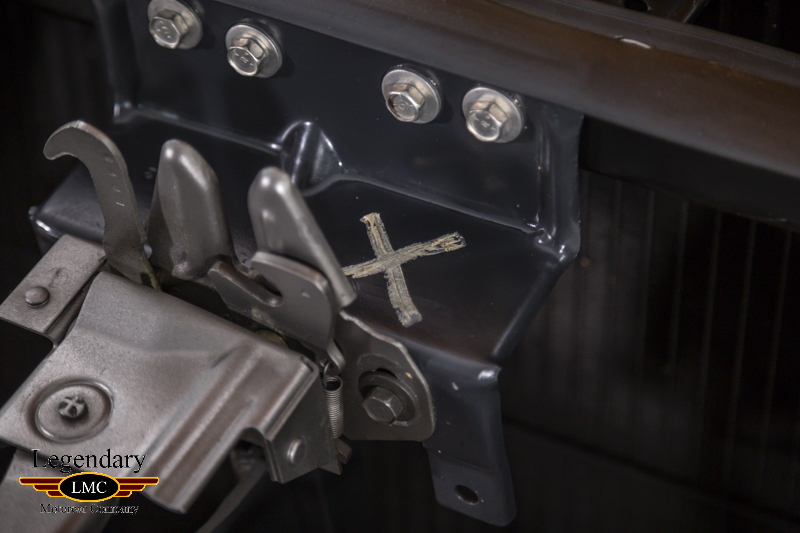 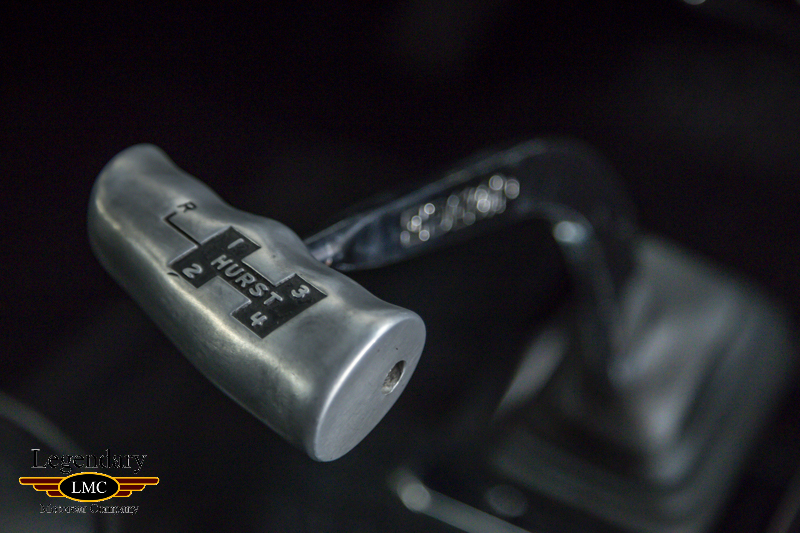 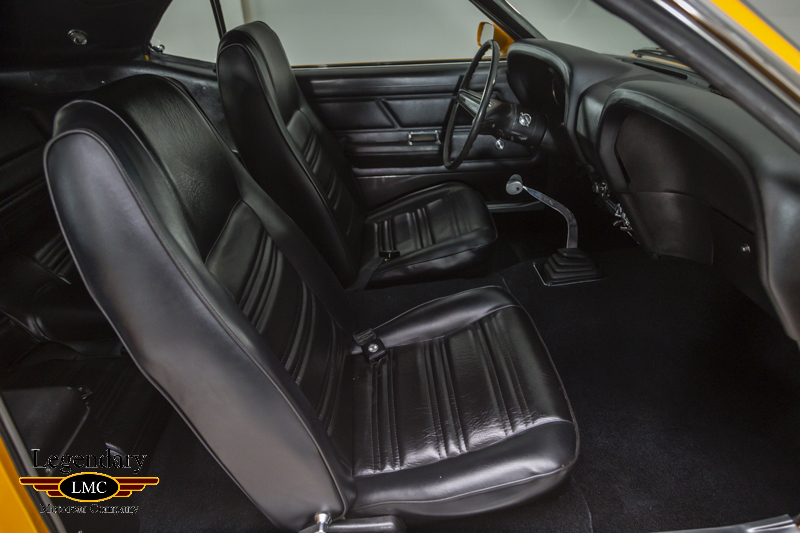 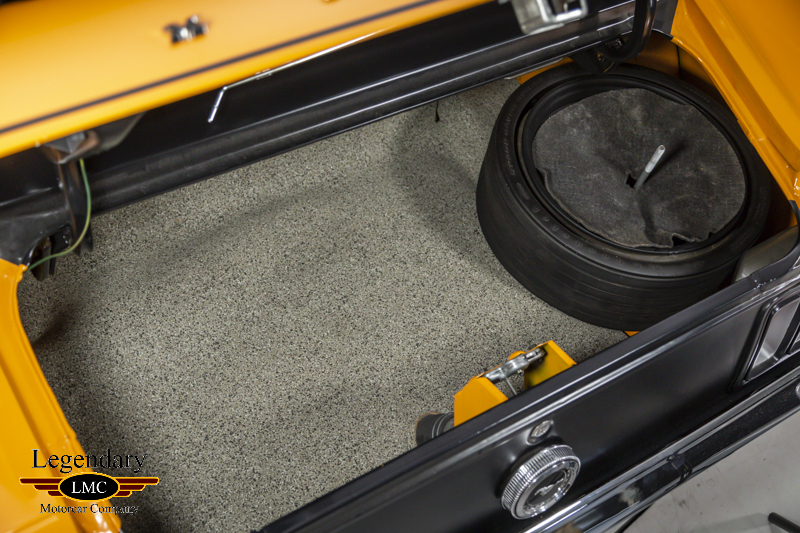 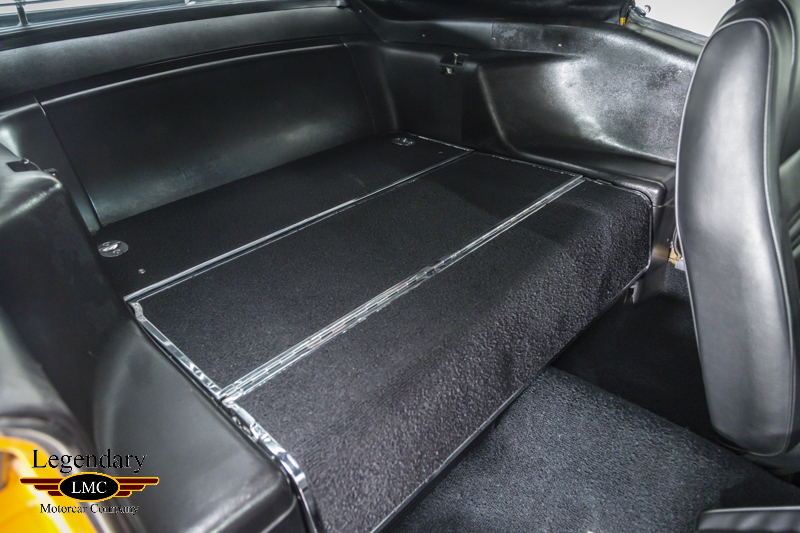 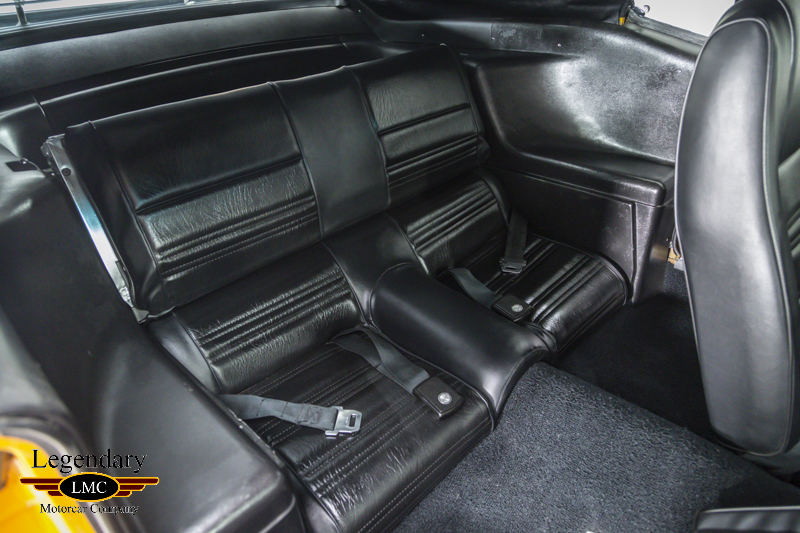 The car has benefited from a full complete nut and bolt rotisserie restoration who recreated such factory details such as; inspection markings, paint dabs, batch primer undercarriage with body color overspray and blacked out pinch welds. 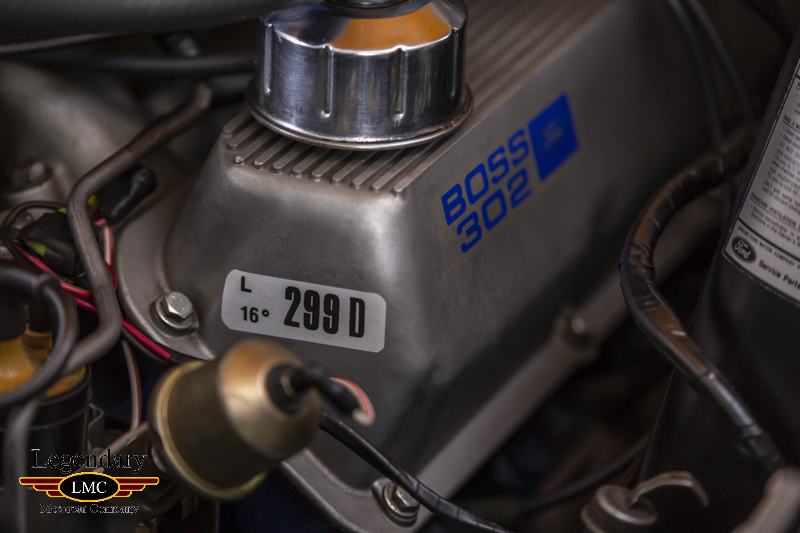 Close inspection reveals that it has a numbers matching BOSS 302 engine and close ratio Toploader 4 speed putting power back to the factory 3.50 gears. 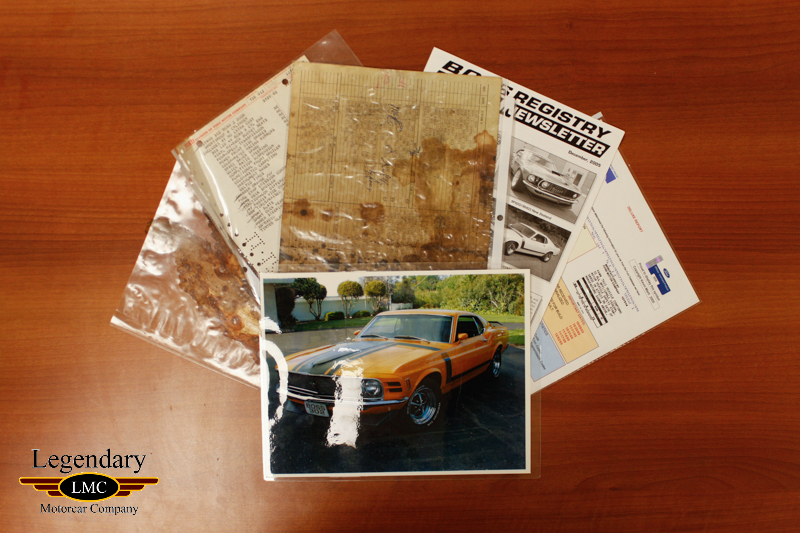 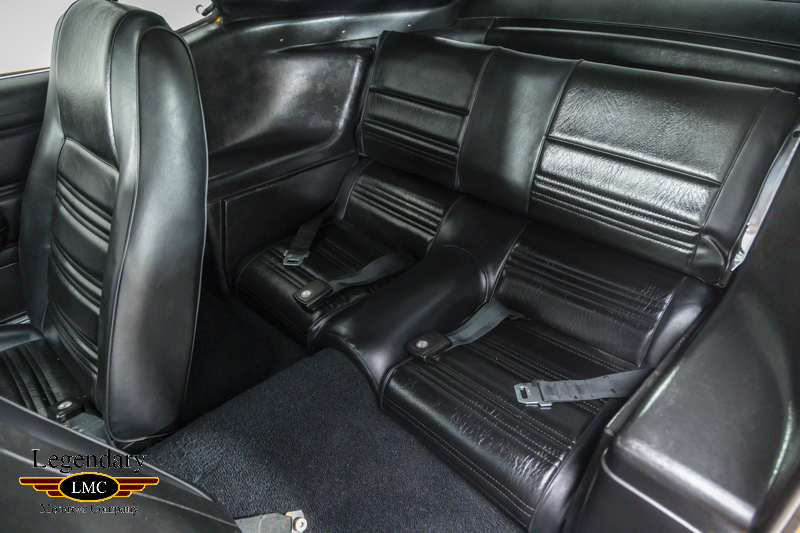 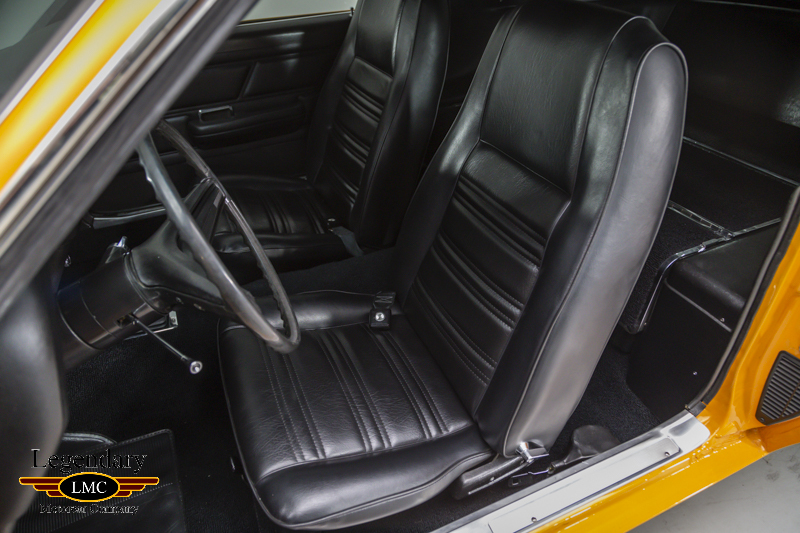 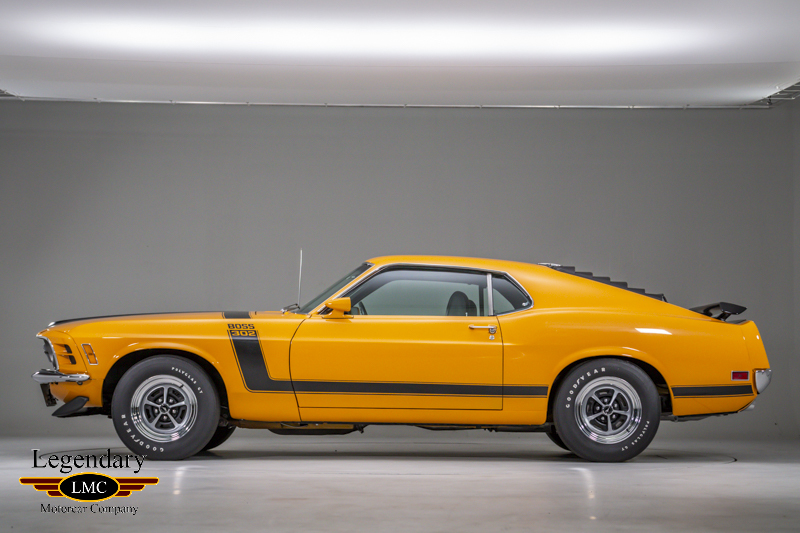 This rare Boss 302 also comes fully documented with original build sheet, dealer invoice and deluxe Marti report. 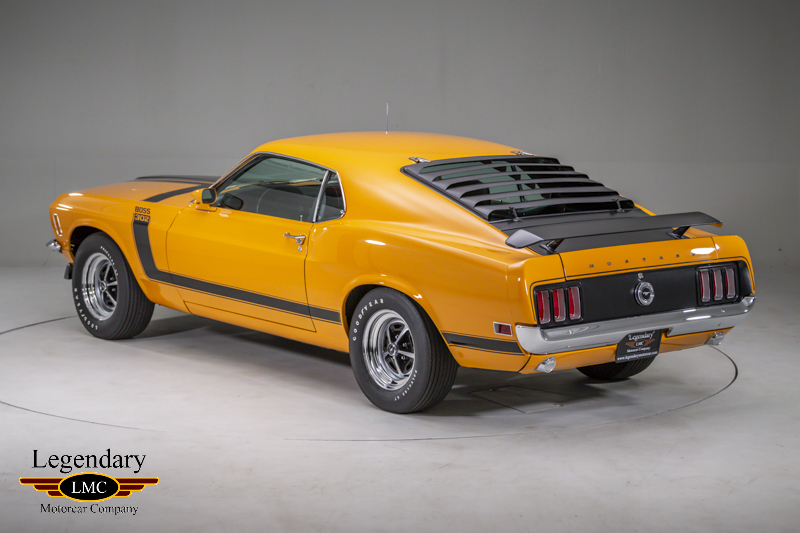 The Ford BOSS Mustangs are among the great muscle cars of the day, this car checks off all the boxes of being a great example, rare and desirable Grabber Orange with black interior, numbers matching motor engine, fully restored, well optioned and fully documented, all factors making it a truly desirable BOSS 302 to both collectors and enthusiasts alike. 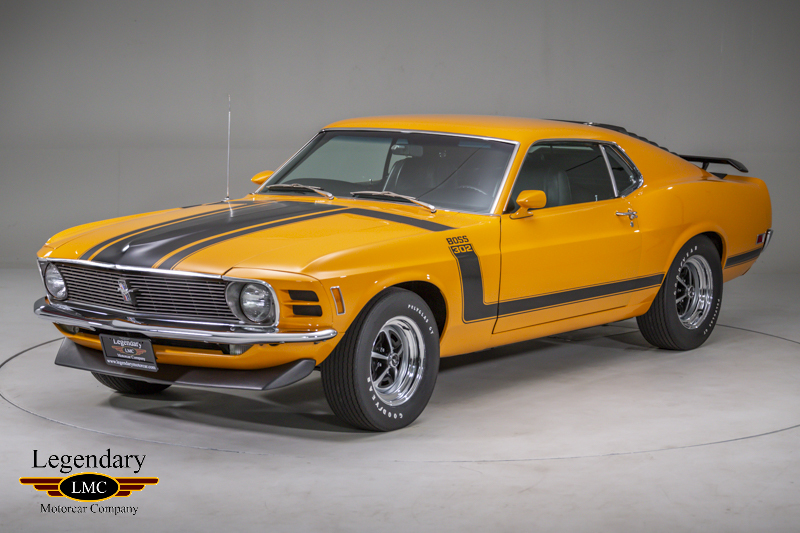 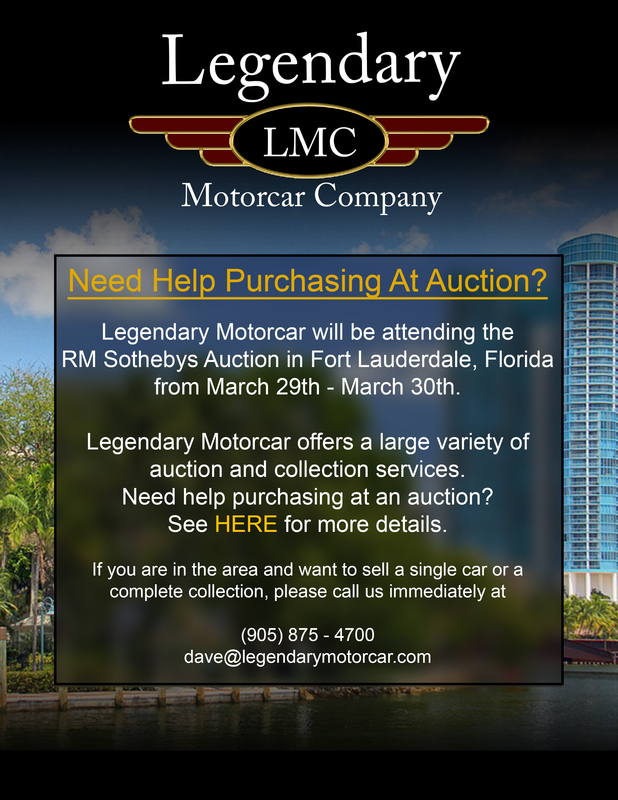 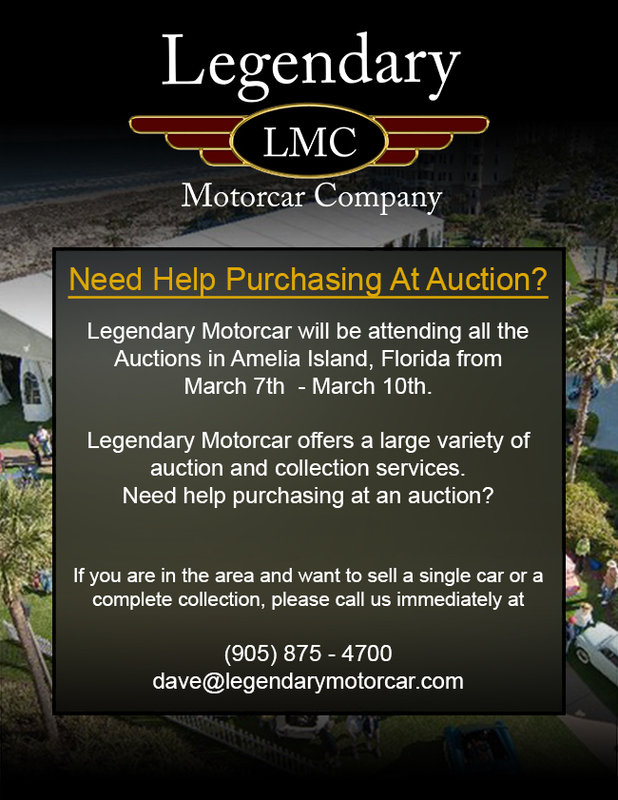 Legendary-Motorcar-Company-Ltd-2018-096 Ford 1970 Ford Mustang BOSS 302 2018-096 89900.0000 Legendary Motorcar Company Ltd.